It's hard enough to legitimately manage $50 billion. 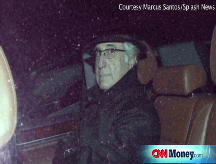 To falsify books and hide that big a sum, though, experts suggest Bernard Madoff had help. But who? (Fortune) -- Like the conclusion that Lee Harvey Oswald was a lone gunman, the theory that Bernard Madoff acted alone is hard to swallow. True, Madoff has allegedly confessed that he perpetrated a massive fraud that left behind $50 billion in losses; and he claimed to have done this all alone. But this is a man who kept false records, sent bogus documentation, bilked investors for billions, lied for years to friends and knowingly harmed charities. It's within the realm of acceptable behavior to cast a jaundiced eye upon his confession. "Speaking as a Jew on Christmas, I would be less shocked if Santa Claus showed up to my house than if Bernie Madoff pulled off this fraud alone," says Ron Geffner, a partner at law firm Sadis & Goldberg who specializes in structuring, organizing and counseling hedge funds and other investment advisors. "It's hard to imagine that given the amount of assets that he managed that people would not have been aware. If nothing else, employees, no matter what floor they were on, would have known that somewhere within the firm money was being lost," Geffner adds. To put it into perspective, if a company generated $50 billion in revenue, it would be in the Fortune 50. That's a huge sum to hide, even over a period of years. To date, the largest similar fraud has been Sam Israel's Bayou Group, which turned out to be a $400 million ponzi scheme. Even Tom Petters, who managed to keep a huge investment scheme going for 13 years, only lost $3 billion for investors. Not only is it difficult to hide $50 billion in losses without anyone knowing, it's hard to manage that much money. The amount of paperwork generated by a legitimate operation requires a huge backroom operation and lots of employees just to keep careful records of trades, profit and loss, and investor distributions and redemptions. To successfully run a fraudulent operation for as long as Madoff did, he would not only need to keep records of what was actually going in and out of his operation, he would have to falsify an alternative sets of books, trading records and investor returns. "This was a very large scheme, and he couldn't have done it without the cooperation and assistance of someone well informed who could process trades, report them and create monthly statements," says Doug Kass, founder of the dedicated short fund Seabreeze Partners. "Someone had to help him falsify all those reports, conduct mail fraud and create multiple sets of books." So who were his accomplices? Bernard Madoff Investment Securities was essentially a family operated business. His brother Peter Madoff was the chief compliance officer. His son Andy Madoff was the director of trading, and his son Mark Madoff was the director of proprietary trading. Shana Madoff, his niece, was the firm's compliance attorney. And account statements uncovered by the website CityFile show that Mark Madoff's charitable trust was handled by asset-management firm Neuberger Berman, rather than by his dad. The millions in Bernie Madoff's foundation were managed by his own investment firm. Strikingly, his family has been largely ruled out as suspects in the case; and it is possible that they only ran the trading operation. In a move that distanced them from their father, neither son was willing to sign Bernie Madoff's bail papers. As for outside help, Cohmad Securities, a Boston based investment firm is being subpoenaed by regulators to find out more about its relationship with Madoff. The firm is 20% owned by Madoff and 80% owned by Maurice Cohn; and its name is a combination of the names Cohn and Madoff. Cohmad's New York office is in the same building as Bernard Madoff Investment Securities, on the 10th floor. On the 17th floor, Madoff allegedly carried out his ponzi scheme in private. An executive at Cohmad is Robert "Bob" Jaffe, who helped introduce members of the Palm Beach Country Club to Madoff's investment outfit. He is also the son-in-law of Carl Shapiro, a man who made his fortune in New York City's Garment District and was one of Madoff's earliest and largest investors. But as with Madoff's family, Jaffe has said that he was unaware of the fact that Madoff's investment arm was a fraud. And it has been exceedingly difficult to turn up any real leads in the case. Even those close with former Madoff employees are exceedingly frustrated by the opacity of the situation. No one knows with for sure how many people actually worked for Madoff. No one knows how many investors he had or how much money he actually managed. "This is clearly the biggest financial scandal and cover up in history," says Kass. 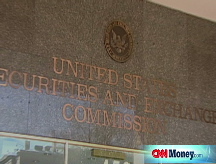 Let's hope that the SEC is better at closing the case than the Warren Commission.